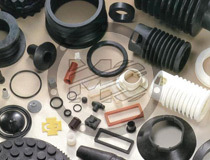 Moulded rubbers in NBR, EPDM, Natural Rubber, Silicone, Viton®, etc. 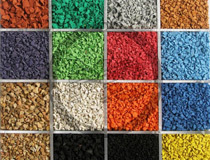 Parts manufactured by injection, compression and by transfer in any quality, hardness and colour. 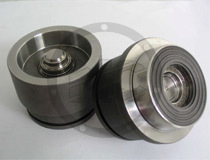 Economical compression moulds for prototypes and short series. Injection moulds for larger series. Micro parts and oversize parts. 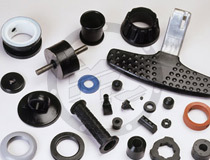 Parts in ceritied rubber for food stuffs. Material conforming to FDA and the European Pharmacopoeia. Mould designs with very short lead times, average 2-4 business weeks.